My youngest daughter is obsessed with swings. It’s her first choice of playground equipment and she dreams of having her own personal one so she wouldn’t have to wait in the park! So high up on our family’s fantasy living list is this seriously cool item! 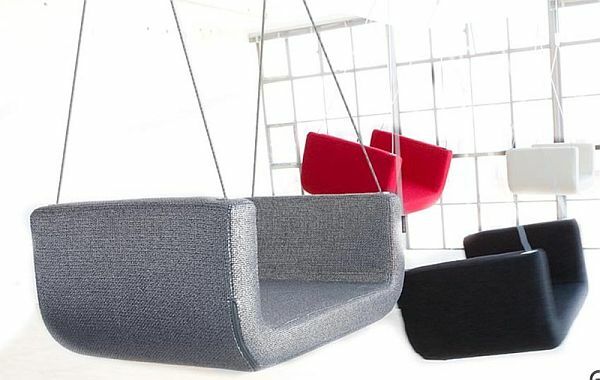 Danish designers Busk and Hertzog have come up with this ingenious indoor swing for Scandinavian company Softline. 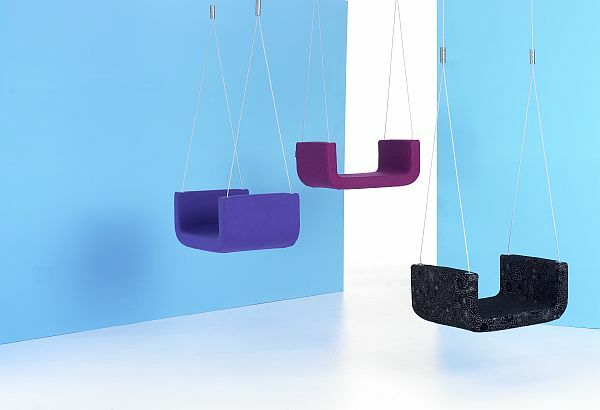 Suspended from the ceiling on wire, the soft seat covers are washable and there’s a wide variety of colours to choose from. Swings are quite the design item for the home (and garden of course) – check out the indoor and outdoor ones we’ve featured before on Babyology. I quite fancy Me&U in our living area rather than the bedroom – what a great topic for dinner party conversation. Suitable for all ages too, although you might have to get more than one to avoid the arguments over who goes on it next! Hold on for the price though – each one costs $880, available from local stockist Interstudio.